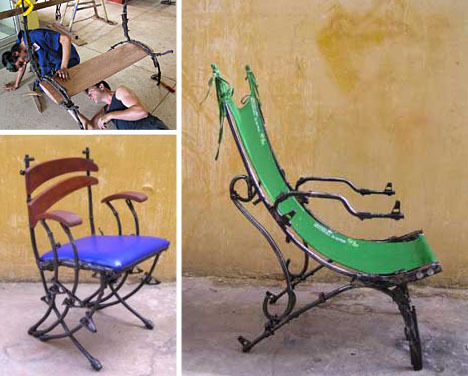 Upcycled furniture ideas that will transform your home, office, business and garden to look ultra cool. Be warned you will find upcycling/recycling ideas you can use today. Reclaim old treasured pieces and put a modern stamp on them. 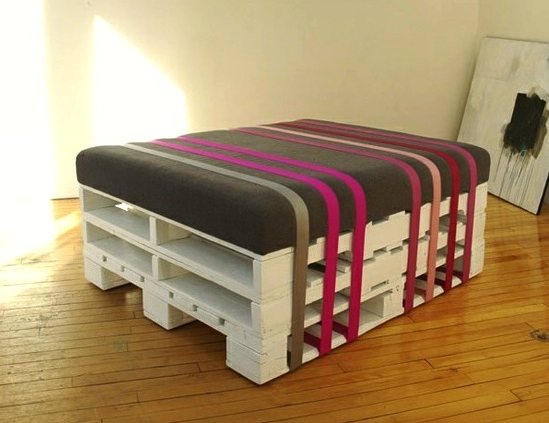 Get an old pallet, ribbons or belts and be inspired by David Alexandre Cote of BCK to create functional pieces of furniture. Paint, add wheels and hey presto a stunning coffee table. 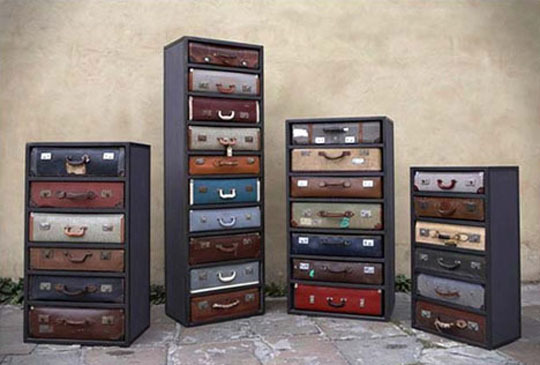 Dresser drawers made from suitcases. 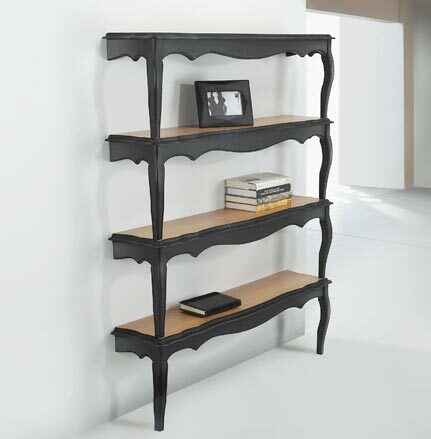 Designer James Plumb has a knack at turning the old and and unloved in to functional, modern unique designs. 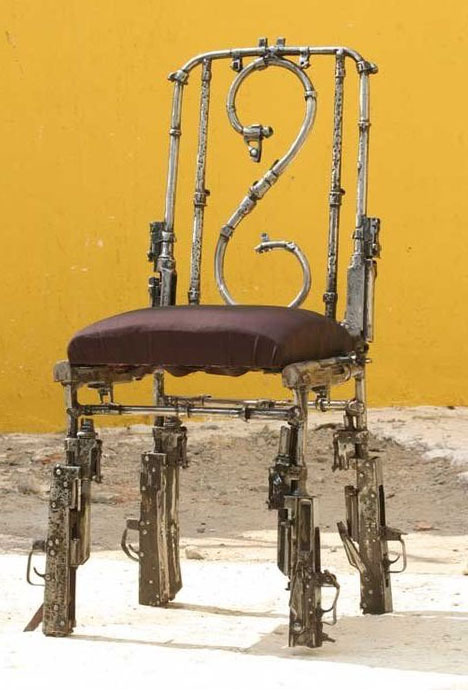 Upcycled Furniture Made From Guns, Swords And War. The Peace Art Project Cambodia (PACA) Art students from the Royal University Of Fine Arts decided to turn destroyed weapons in to objects of beauty. 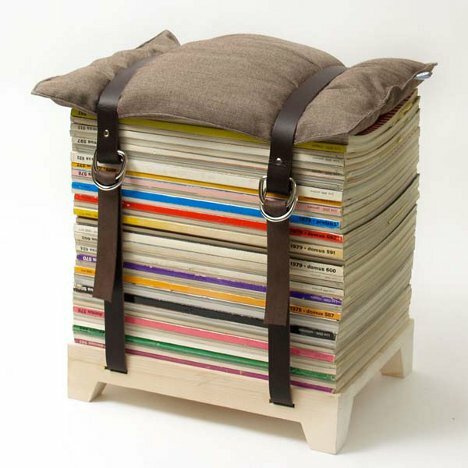 Great way to store and display magazines. Base, belt and cussions to create functional and tready stools. 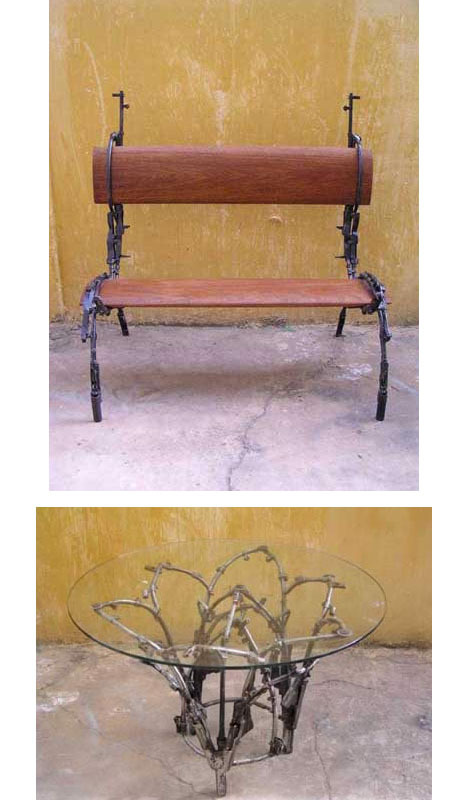 Upcyclling ideas just get better and better. 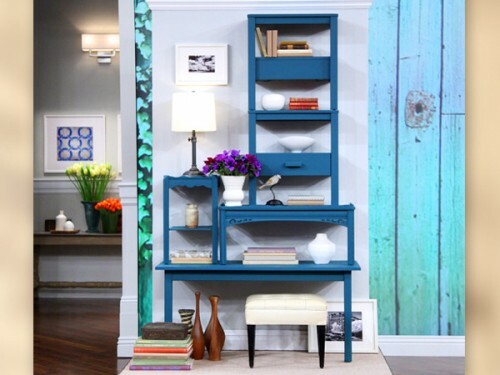 Tired of the coffee table, no worries, cut them in half, stack them on top of the other and you have the cool funky shelves. 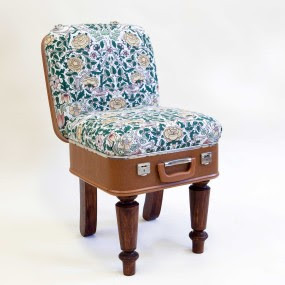 Got an vintage suitcase? 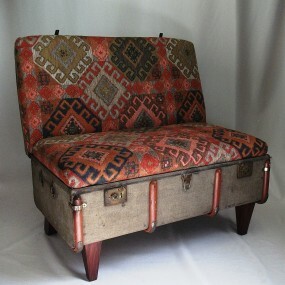 Great, turn it in to a cool sofa, designs for Katie Thompson. 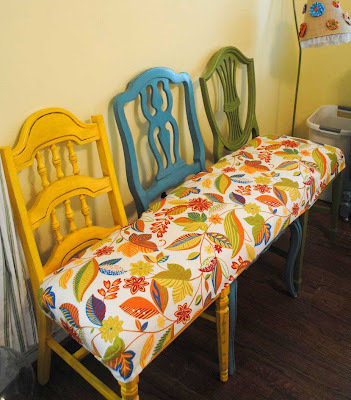 Mismatched chairs creating a stunning bench. The colours bring this bench to life. 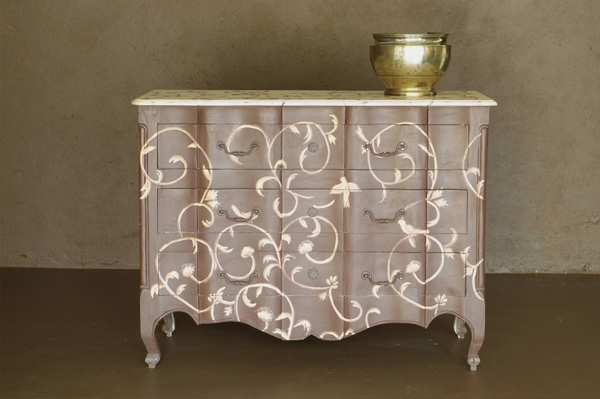 Destressed paint techniques, a keen eye for detail, colour combinations and passion to create a masterpiece. Turn old dressers in to a focal point. 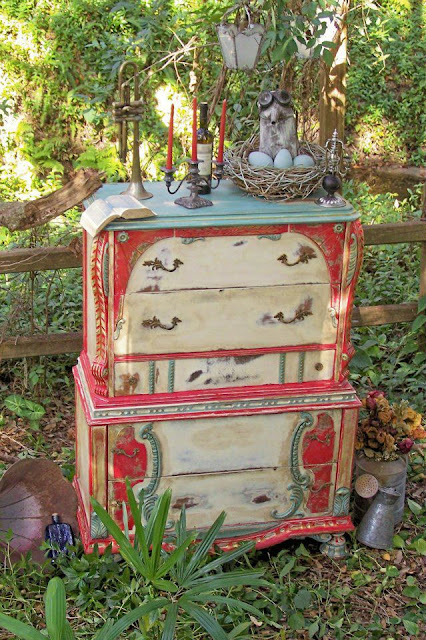 If you are dying to let your creative side shine, upcycling furniture is the perfect way to make you home be a living extension of your imagination. Sometimes filling cabinets can look cold and a bit sterile, not any more. 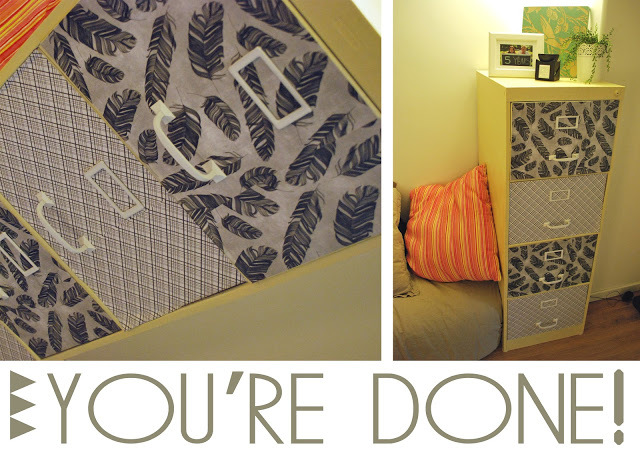 Transform filling cabinets with paper, paste and passion. Recycle Tires, Repurposed Tires, Be Inspired.